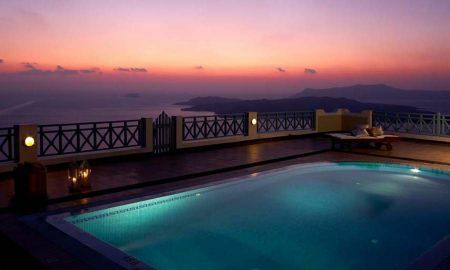 Perched high near Santorini’s caldera cliffs, the Celestia Grand Villas is a refined and exclusive complex located on the striking island of Santorini. 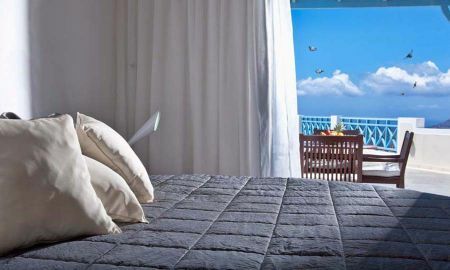 Guests can enjoy stunning views of the mysterious volcano, not forgetting beautiful summer sunsets over the crystalline waters of the Aegean Sea. 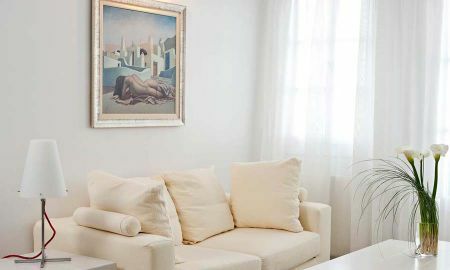 The property features 7 luxurious and large villas, each furnished with modern amenities and equipped with private pool and spacious terraces. Their design reproduces the typical architecture of the Cyclades islands and of the Greek country. Celestia Grand Villas are perfect for families, groups of friends and guests in search of relaxation and peace in one of the most exclusive and selected Greek destinations. 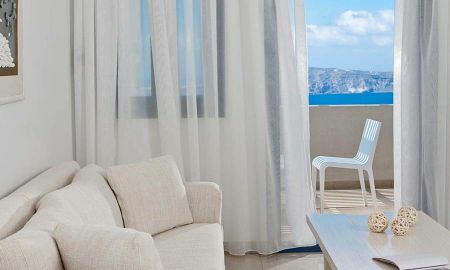 The complex is situated 1.8 Km south of the modern town of Firá on the Firá-Megalochori Road, 8 km far from the port, 5 km from the Airport and near the typical restaurants, cafés and places of interest on the island of Santorini. The 0.5% of City Tax is already included in the rates. As of 01.01.2018, an accommodation tax, per room per night will be automatically charged to the guests’ extras invoice, and will be payable by the guests prior to their check-out. The accommodation tax will depend on the hotel class, location and seasonality.